NOTE: This post first appeared last June, but the same is true today, and I have updated it with some links to related posts. Enjoy! Galicia, in the northwest corner of Spain, is a lush, green coastal gem that is not the first thought among travelers to Spain. It's a hidden, unspoiled oasis that I have come to call my second home. And a vast array of the freshest vegetables and fruits, grown with love. And castles on the side of the road. Or this one inside the Roman Wall in Lugo. I'm queen of the world at Finisterre! Have you ever been to Galicia? I hadn't ever considered Galicia before, but it looks lovely. Oh and the food looks really delicious. Eating local food is my fave thing about visiting new countries! Galicia is lovely, Sarah. I love to eat the local food too. The people are so kind and the landscape is spectacular. It's definitely a place to add to you Spain itinerary. 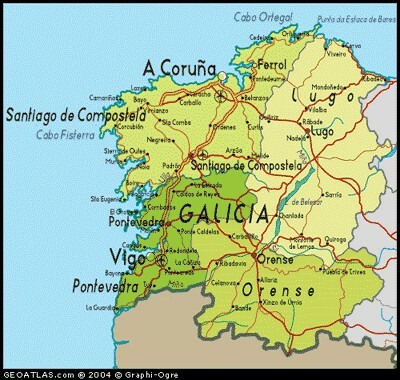 Galicia is my first home Kelly and has been for over 12 years. It's a privilege to call it home. A hidden paradise away from the crowded costas - even in the middle of summer. Thank you so much for stopping by, Craig. I am still learning my way around Galicia, but love what I have seen so far. It truly is a hidden gem. I'm looking forward to returning in July. Thank you, again. What a beautiful place. Spain is one of the countries I want to visit in the future. It looks so lovely! What a lovely place. I visited Spain many years ago, but we didn't go into Galicia. We stayed down in the south eastern area of the country. It was a beautiful country and I would love to go back again someday! I had an aunt who lived for many years in Malaga, which is on the southern coast. Spain is on my bucket list of places to visit and I've heard so many great things about the country. Thanks for sharing! Food, landscapes, lovely buildings, sounds like a great place to visit to me! It truly is a fabulous destination with so much to offer. I hope you have the opportunity to explore someday. Thank you so much for stopping by. It's funny because, while Galicia does not top most people's must-see list, once they do see it, they are eager to return. It's magical in its own way. I love it more every time I go. Thank you so much for stopping by. Beautiful! That scallop shell church is amazing. It is beautiful, Steph. And people have left messages on all available spaces, so it's fun to read as well. La Toja is a place to see, for sure. :-) Happy Wednesday. ¡Hola! Galicia and Asturias remind me of Ireland, Scotland and French Brittany a lot! They're green, they play the bagpipe, and many people are blonde with blue eyes. They also drink cider, I love how they pour the cider, the escanciado, have you seen it? Ask your waiter next time you're there! Lovely lands! Enjoy! ¡Hola, Marta! Mucho gusto! You are so correct...Galicia and Asturias must be cousins and both are cousins to Ireland, Scotland and Brittany. We spent time in Asturias last summer and my husband did a great job pouring the cider. :-) You can smell the cider in the streets...maybe because some is spilled as they try to pour it. Nevertheless, it is so much fun. :-) Again, it's so nice to meet you. Thank you so much for visiting. As you know, I just returned from my first trip there (to Pontevedra and Vigo) and they were both spectacular!!!!! We stayed in Vigo and it was one of the most beautiful places with the best tasting food EVER. None of us wanted to leave. I will also never forget running though the streets of Pontevedra!!! It was like the running of the bulls but I was the bull. Perfection. Thanks a lot for your kind words!! I'm Galician, I live un Vigo and I loved tour repor. One thing you haven't mentioned and it worths it are Cíes Island. Remenber this visir next time you come over! The scallop church is so pretty! That is one huge empanada!! Yum! Wow that place looks amazing! Great pics Kelly! I would love to go to Spain - maybe someday! I hope you do have the opportunity to go to Spain someday. There is so much to see and do. It's a fabulous vacation destination. I've heard of Finisterre before but not of Galicia. Anyways, it seems to be a place worth a visit. Thanks for sharing! Finisterre is in the top northwest corner of Galicia, in the northwest corner of Spain. It's a fun place to visit and explore. Thank you! Wow! Amazing sights and amazing food! 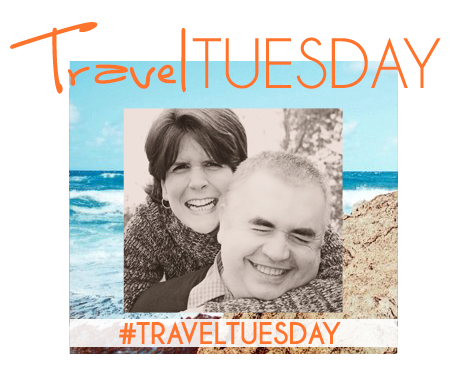 You've added Galicia to my travel bucket list! I'd love to visit here! I had never even considered or heard much about Galicia but I love hidden gems like this.